Advanced anti Aging Treatment protects & works all day REVIVE YOUR BEAUTY – AT 50! 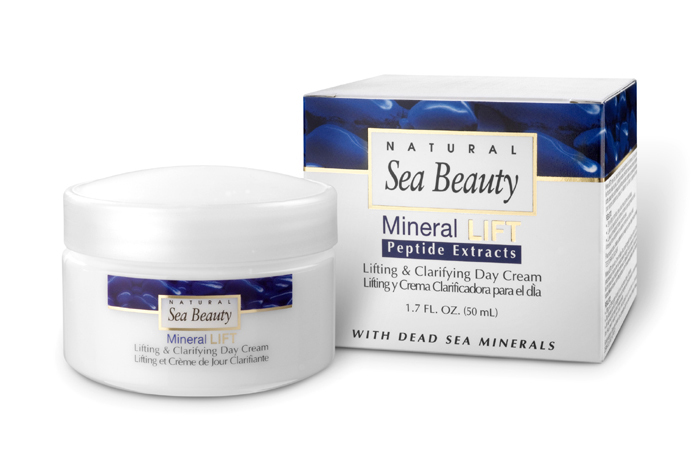 Natural Sea Beauty by L'Oreal Israel Dead Sea Cosmetics, Mud and Minerals from the Dead Sea+Together with the Mineral LIFT night cream, the Mineral LIFT day cream provides a comprehensive around-the-clock solution, for your skin’s various needs. Lifting and anti wrinkle effect. Skin is denser, firmer and more elastic. Skin’s complexion is more even and uniformed.